Location Location Location... Luxury condo with great location. Walk to golf, casino, marina and beach club - no more than 10 minute walk. Colina 9C is the condo closest to the hotel. This great location is perfect so you don't have to use your car all week. Best part: The beach club is a short 4-5 minute walk and offers a beautiful pool, kids entertainment and a wet bar. DVD Movie library to enjoy your nights. Location - you can walk to Beach Club, hotel, golf and gym. We take really good care of the condo - linens changed constantly and you can contact me anytime for suggestions. Linens and towels provided. Linens are microfiber - nice and soft beds. There is a complete gym right beside swimming pool. Dinning area and balcony that can be used to eat. Condo is exactly as pictured, but the pictures do not do the exterior justice. It is in a beautiful complex, and the balcony has a great view. The complex has two nice side pools in the middle, one adult only and one for families. The giant beach club pool is a very short walk. There is a security station at the entrance to the complex. The marina is about a 10-15 min walk. I felt very safe walking around, even at night, in the resort. My only complaint about the resort is that I felt a little cheated on the foreign experience because it is so Americanized. Clean, great location, and everything you could need. Fabio was awesome! Had a wonderful time. Condo is very nice, and met all our needs. Love the pools being so close to the condo. Waking up in the morning and sitting on the deck listening to the birds was so relaxing. The check in and out procedures were easy, and gate attendants were very nice. Plan to go back soon. The La Iguana golf course at Marriott Los Suenos is one of my favorite courses in Costa Rica. It has a nice mix of short and long holes, wide fairways and sneaky hard par 3s. The most attractive thing about the course is the location – the rainforest. You literally see monkeys, macaws and other exotic animals. You also get to hit approach shots with the rainforest as the background. The colors are so vivid that I find myself stopping several times a round to absorb the scenery. My favorite hole is the first hole, par 5 500+ yard collection of tropical sounds and perfectly manicured fairway. There are several par 4s that tease you into shooting the green with your driver – only to lose your ball in the heavy jungle after a slight (my opinion it was slight) hook. 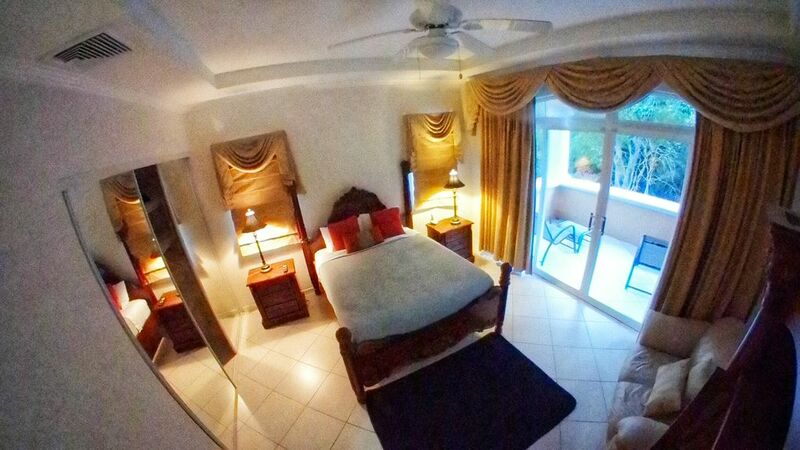 Nightly Rates .. From $225/night depending on time of year. Flexible pricing based on number of nights. We offer discounted golf, fishing and airport transportation as part of our service.